Wayfair’s Joss & Main – NATCo. 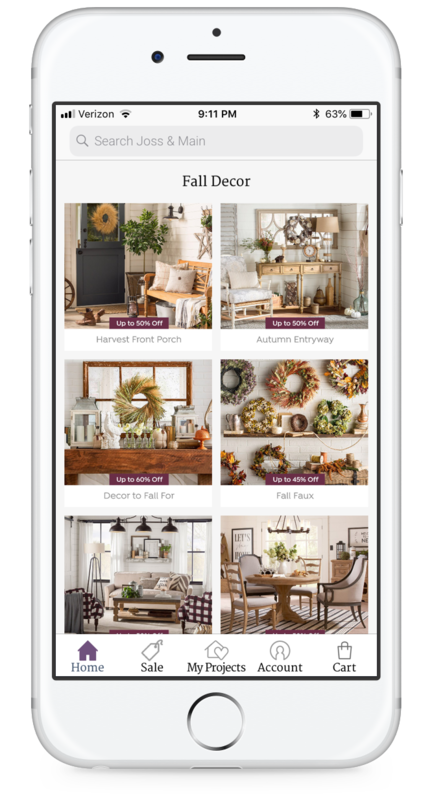 Craft an accessible and engaging e-commerce experience for the home decor enthusiast. 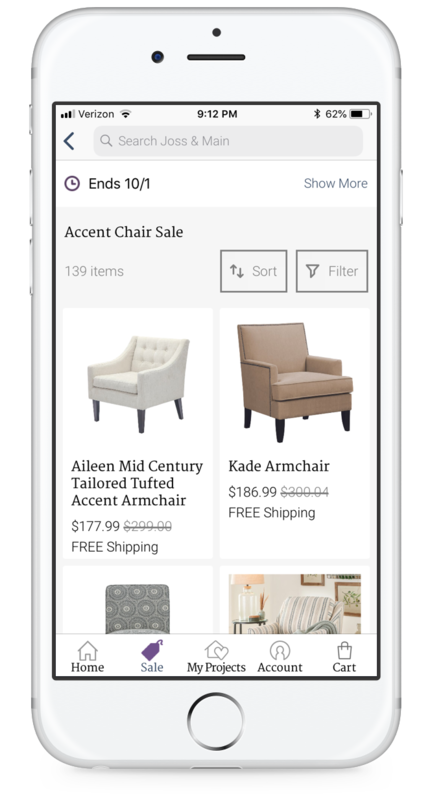 Founded in 2011, Joss & Main became one of Wayfair’s flagship ventures. It’s inception was birthed out of a strategic opportunity to capture revenue from a growing flash sales market, then valued at $4 billion by 2015. 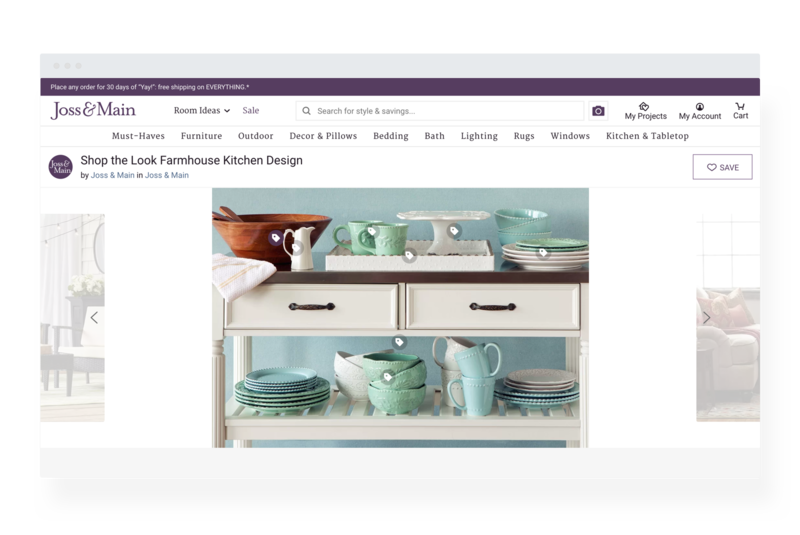 With stiff competitors including Rue La La and Gilt, the mission was clear: Get Wayfair into the flash sales business and position the brand to be accessible across a wide user base. To be a contender, the brand and user experience had to be inspirational yet tangible. Product offering called for a highly curated inventory to delight home decor enthusiasts. Our core values helped activate and empower everyday consumers to find balance in their homes by achieving the looks found in the pages of high-design print publications. 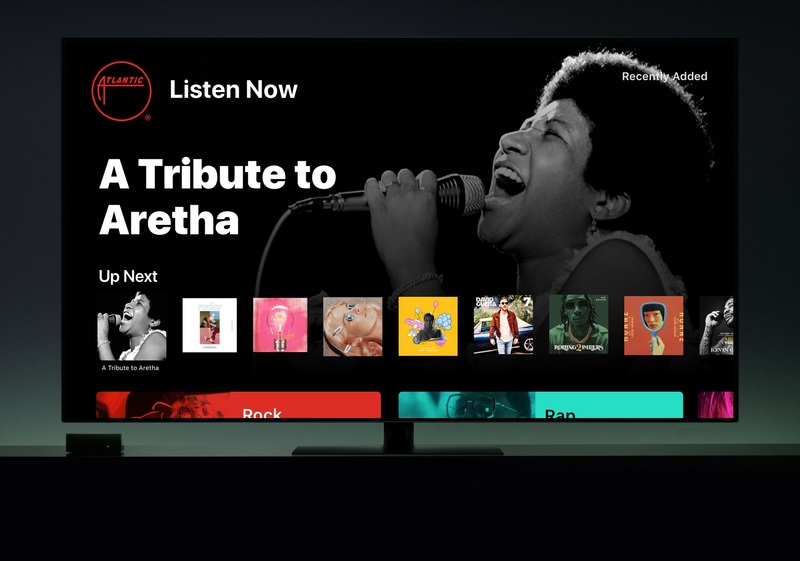 To foster the relationship with our customers, we created personalized product relevancy and a compelling user experience. 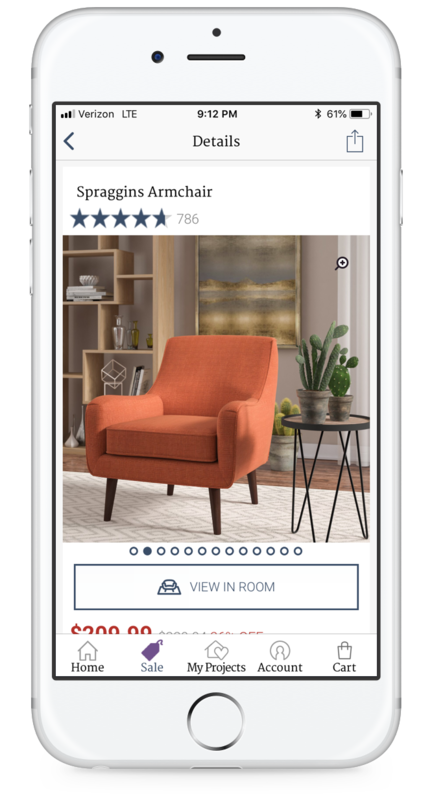 Powered by analytic data across multiple channels and platforms we aimed to create the “go-to” shopping destination for home decor enthusiasts of all types. Decor in magazines and on television often seems unattainable for the typical consumer. The Joss & Main brand is approachable, informative and inspiring at prices for everyone. J&M helps shoppers live the lifestyle and places the “thrill of the find” at the consumers’ fingertips. Through the combination of a unique product offering, editorial content and an in-house photography studio, we were able to deliver an engaging shopping experience and illustrate the benefits the products would add to one’s home. 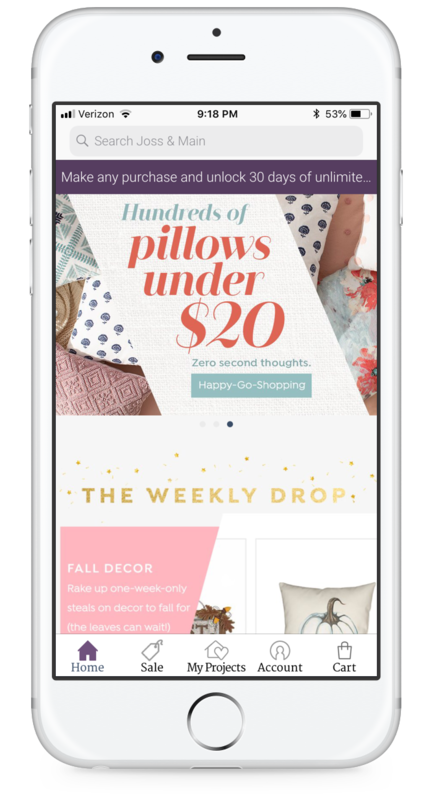 Leveraging Wayfair’s drop ship business model, established buyer/seller relationships and logistics infrastructure, we were able to design a product experience in support of the brand vision and ultimately, from a business perspective, drive conversion and contribute to the bottom line. 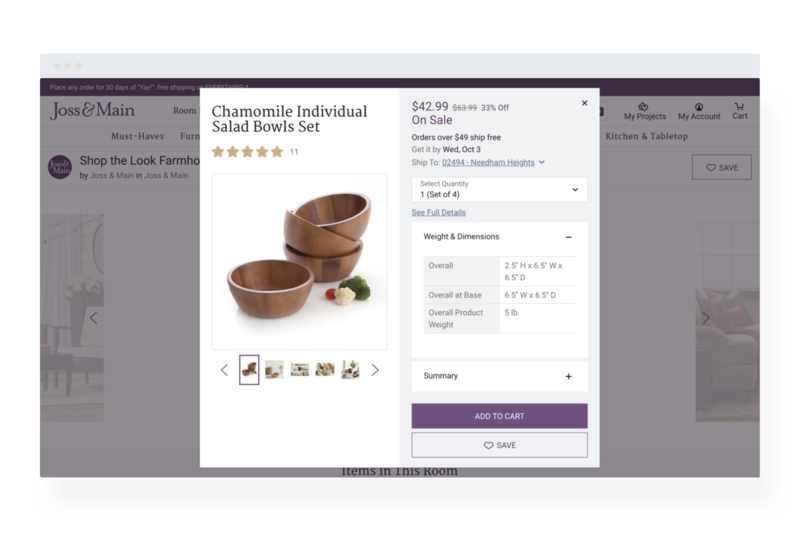 Our initial UX was designed to drive conversion in a flash sale format and evolved over time. Bringing the brand to life with a rich and textural user interface, we developed a style guide and component system to support both the user and business goals. 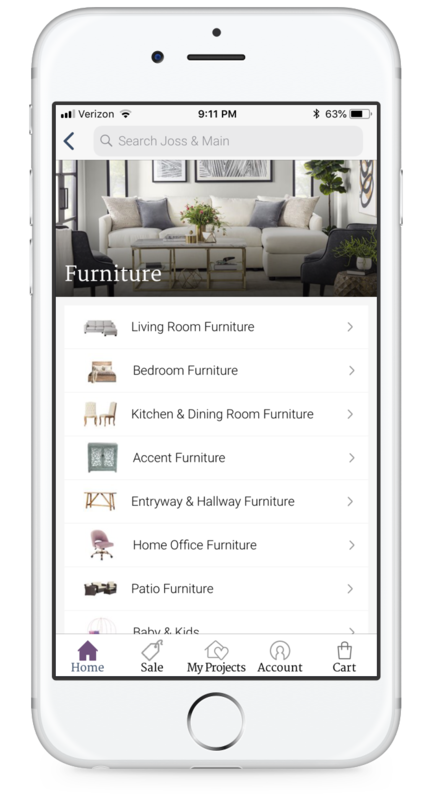 Out of the gate we leveraged Wayfair’s powerful data and analytics to help inform our decisions in developing the experience. We were able to make a hypothesis based on data, test our designs against a baseline and learn from each iteration, furthering the product evolution. We found that our users often interacted with style tags and therefore leveraged the category taxonomies to drive user personalization and preferences. Taking that data we were then able to serve customers relevant products, content and style suggestions. We also found that there was high user engagement with instructional how-to’s, and editorials. 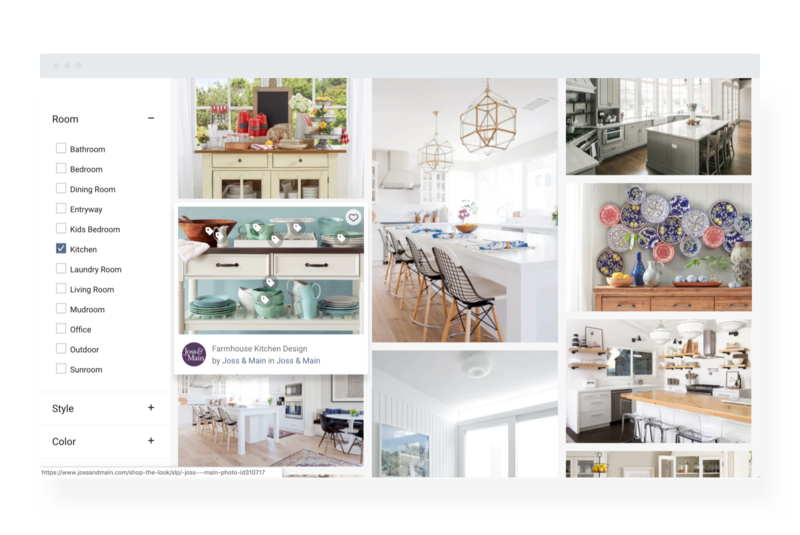 This discovery spawned the strategy to use actual inventory in the content based experiences helping users go from inspiration to check out and design in their own homes. As a result saw more and prolonged engagement metrics and an increase in conversion to the shopping cart flow. At the time we were surprised to find that 35% of conversion happened over mobile in our mobile web platform which led to the launch of our native app experiences. 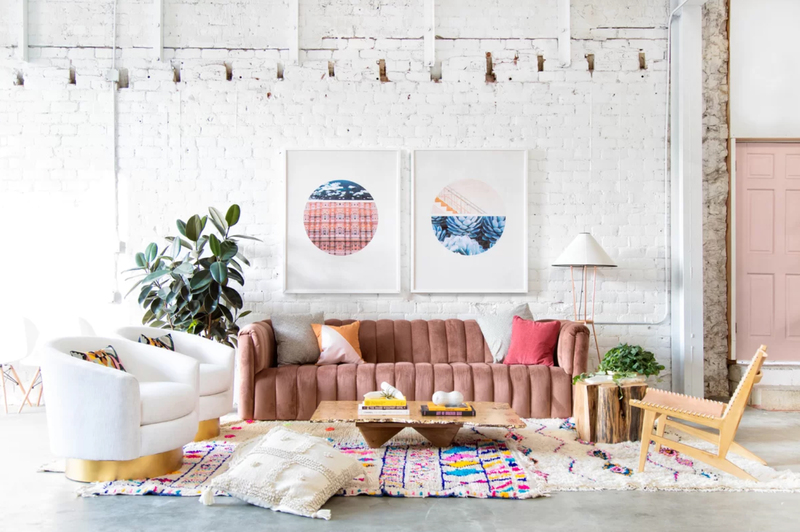 Ultimately we launched an inclusive brand with exclusive prices, reaching a range of consumers, helping them bring decor and design into their homes. 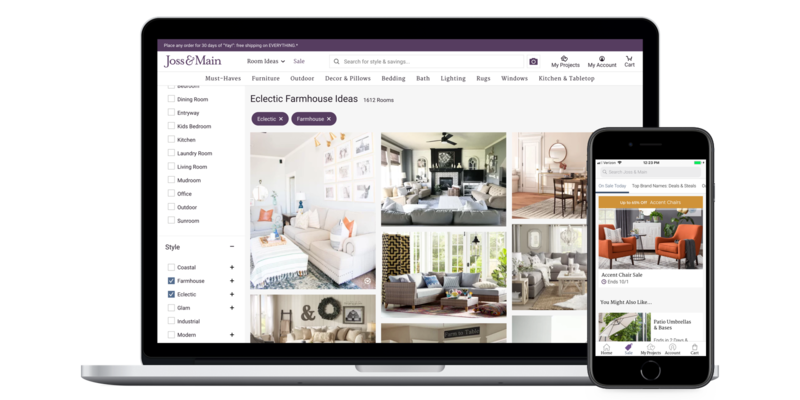 Joss & Main became an important part of Wayfair’s business, contributing with a booming $500,000 a week e-commerce business that has developed lasting relationships with its shoppers.